The Russian President approved the Strategy for Development of the Arctic zone of the Russian Federation and national security for the period up to 2020. The main national priority of the document is industrialization of the Arctic and increased use of its carbon resources rather than conservation of vulnerable Arctic environment, protection of indigenous northern peoples and adaptation of the region to climate change. The government document that defines the development of Arctic territories has been adopted for the first time since the Soviet era. As follows from the Strategy, it aims "to maintain the sovereignty and national interests of the Russian Federation in the Arctic." The main landmarks of the program are economic and military ones. The document declares preservation of the Arctic as a zone of peace, but also states that the country is ready to defend its interests in the Arctic from the encroachments of other countries by all means. The strategy indicates the use and development of the resource base in the Arctic zone of the Russian Federation as economic trends and says that these resources “are able to meet the needs in significant amounts of hydrocarbon resources, water resources, and other types of strategic raw materials." The document provides for the study of continental shelf and coastal areas, preparation of hydrocarbon resources to the development, formation of reserve fund of deposits in the Arctic zone of the Russian Federation to guarantee energy security and sustainable development of thermal power complex in the period of substitution of declining production in traditional areas of development. The document envisages development of the Timan-Pechora oil and gas province and hydrocarbon deposits on the continental shelf of the Barents, Pechora and Kara seas, the Yamal Peninsula and the Gydan Peninsula. Ensuring environmental safety is indicated as the fourth priority area of the Strategy. The document declares development of Arctic tourism and expansion of environmentally friendly tourism activities in the Arctic. According to the government program, improving the regulatory framework of tourism and establishment of its financial support must develop on the basis of public-private partnership principle. The problem of climate change appears in the Strategy for Development of the Arctic Zone fragmentarily, as a component of scientific plans. The document indicates the need “to conduct comprehensive research on the study of natural hazards, development and introduction of new technologies and methods to predict them in conditions of changing climate" and "to forecast and assess the impact of global climate changes in the Arctic zone of the Russian Federation under the influence of natural and anthropogenic factors in the medium and long-term perspective, including increasing stability of infrastructural objects." The Arctic today remains an attraction point for interests of many countries. The reason is obvious: it is a pantry of minerals. It has rich mineral resources and undeveloped oil and gas reserves, including 25% of undeveloped oil reserves in the world. 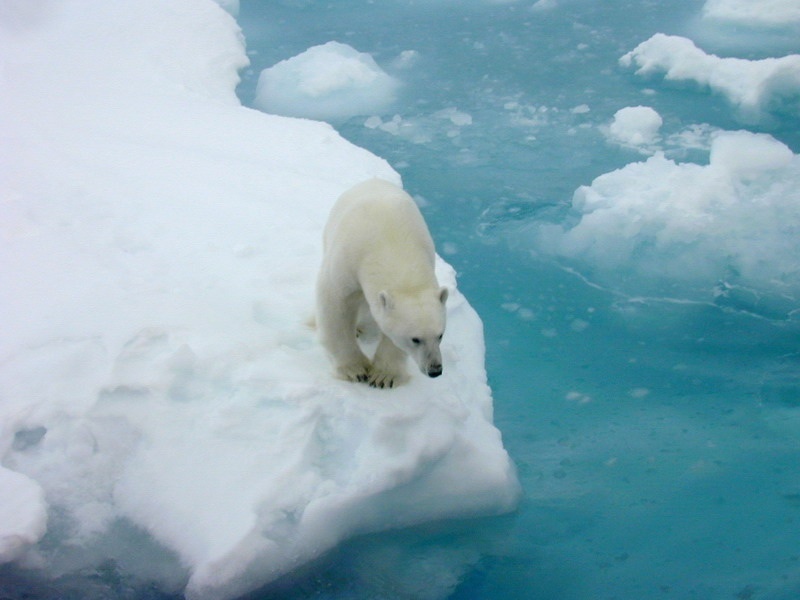 The Polar Regions are suppliers of unique and irreplaceable ecosystem services. They include not only climate regulation, but also storage of fresh water, maintenance of biological resources and ecosystems. In addition, the Arctic acts as carbon storage: it is one third of the world's total carbon sinks. However, national and global environmental and climatic interests fade and slip away under military and economic rhetoric – the document is aimed at fast use of the Arctic, rather than at its preservation.